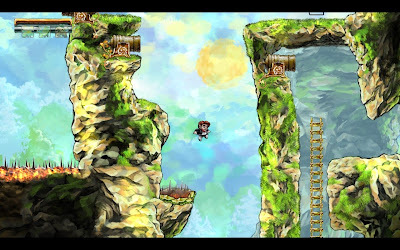 I remember when Braid was first released in 2008. I heard quite a bit about the game: mostly that it was as beautiful as it was abstruse. This appealed to me, but I didn't own an Xbox 360, to which the game was exclusively released. The game remained little more to me than the subject of conversation. 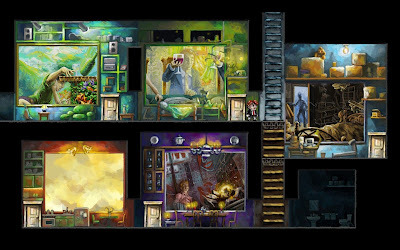 Lots of conversation: about art, about independent video game development, and about the eccentricities of the game's creator. By the time it was released on PC several months later, it seemed as though Braid had single-handedly ushered in a golden age of indie development that we're still enjoying now. Of course, I had to experience this game for myself. When I started playing Braid, I was struck by just how beautiful the game is, both graphically and sonically. The painterly visuals pair nicely with the minimal soundtrack to evoke a dreamlike experience inside of me. But what kind of dream was I having? The artistic nature of the presentation is absolutely apparent, but I couldn't put my finger on the meaning of the game. 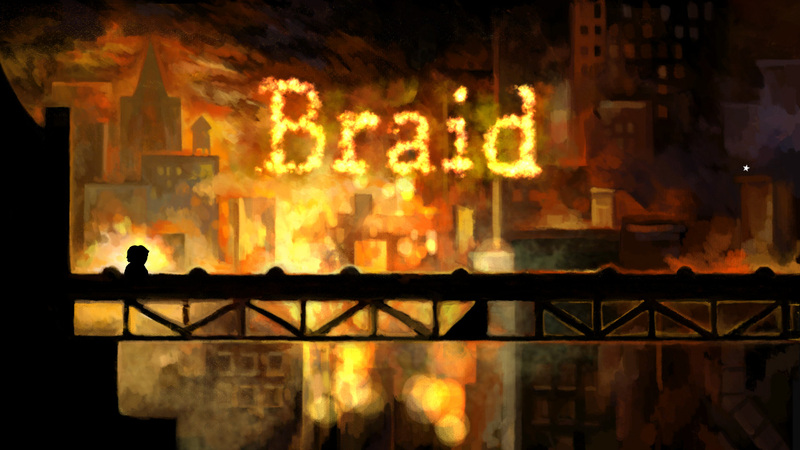 What is Braid about? 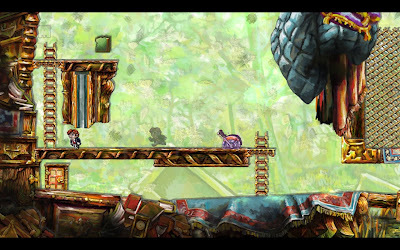 Braid presents some obvious allusions to Super Mario Bros., and I don't think that this is an accident. More than an homage, I see this as the perfect setting to play on the male hero fantasy held by boys who grew up in the age of Nintendo. Where Mario is presented unquestionably as a hero, Tim comes across less assuredly. 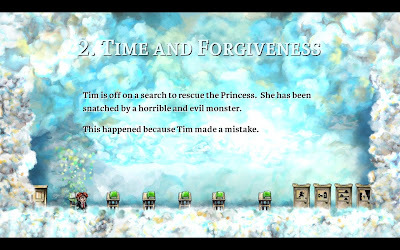 From the unconfident expression on his face to the bits of Tim's story that are offered in the cloud-space between the real world and the dream worlds, Braid plays in the subtle presence of a emotions that are outside of the promise of Mario: deep regret and self-doubt, all of it surrounding the breakdown of a relationship. It's difficult for me NOT to project myself into the character of Tim because I've been there. It's not pleasant. I think he missed the signals warning him that his relationship was coming to an end. While he was dreaming of heroism, his "princess" was seeking rescue by someone else. In the dream worlds, he has the power to rewind and replay events over and over until he gets them right, but none of it is real. Even the power introduced by the ring, which allows him to slow time almost to a stop for a small area, is a fantasy. When Tim and I exit our fantasy and step back into the real world, the ring is still in his pocket—not on her finger—and the house is still empty. None of this occurred to me until the final moments of the epilogue, which is World 1. It was here that I realized that the entire game is a journey backwards in time to the moment of her departure. Tim isn't going to be able to rescue the "princess" from anyone. She is being rescued from him. The only thing that his power can do is allow him experience and re-experience the growing distance between she and him.